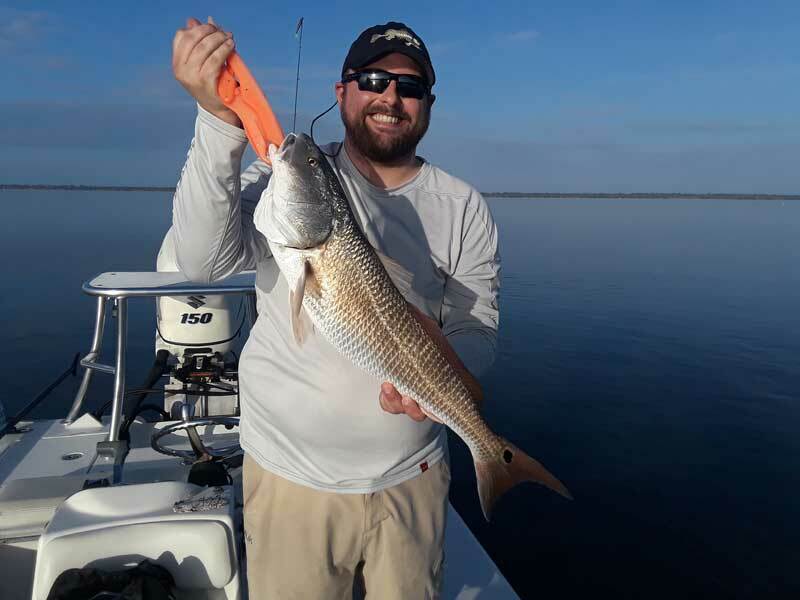 Orlando fishing charters June report for 2018. 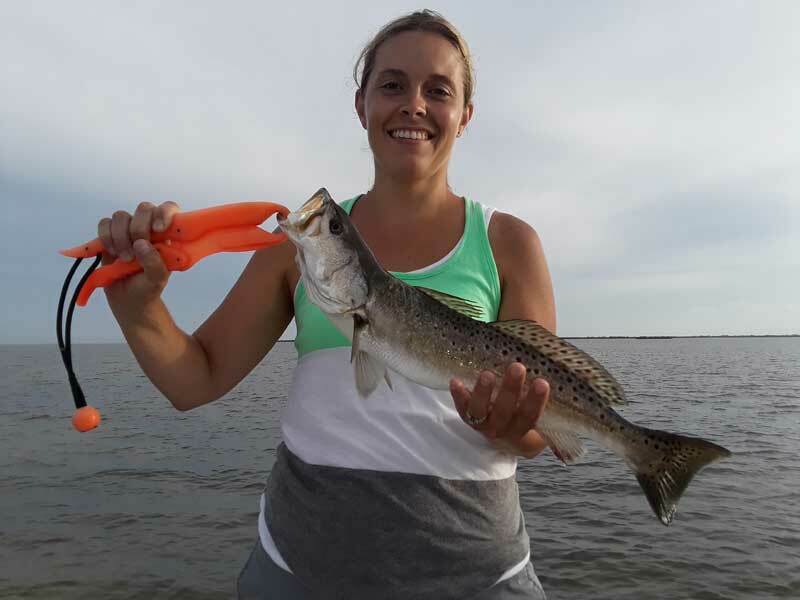 Over the past several weeks the red fishing has slowed down but the sea trout fishing has only gotten better. 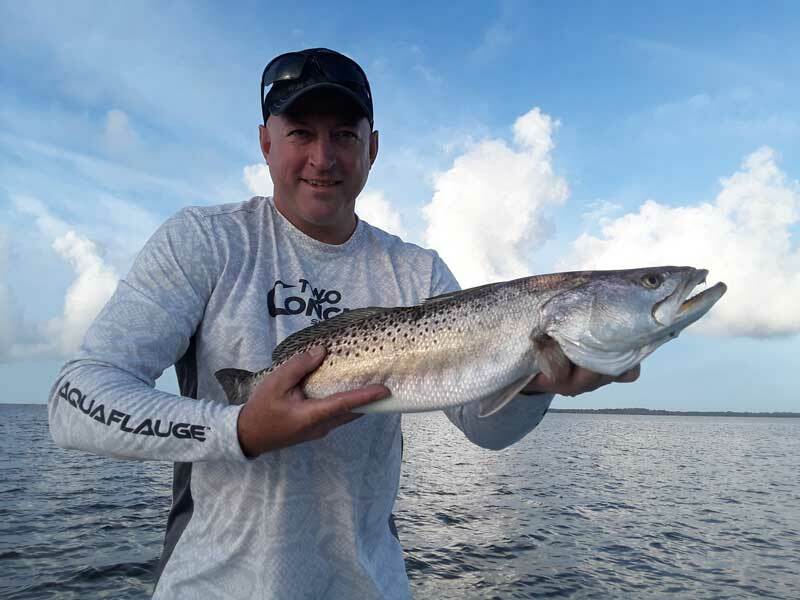 Most mornings we are finding schools of sea trout averaging between 15″ and 25″ in length. The fish are very aggressive within the first several hours of First Light. Mixed in along with the sea trout we’re catching mangrove snapper, blue fish, Lady Fish and jumping a few Tarpon here and there. I’m actually having the most luck on artificial right now. I’m staying with colors that mimic the bait fish most commonly found on these Flats. Your best bet is to stay with baits that look like pinfish and pig perch. You can also get away with mullet looking dates as well especially those that are best for topwater. The trout especially have been loving the top water bite. One area in particular that I’ve been visiting after about the second or third hour of the day has had a fairly large school of actively rolling tarpon. The fish are active in swimming all around coming up surfacing gulping air and going back down the water is pretty clear so the fish are little weary you just have to have patience to get one to bite. But trust me once one eats and he comes up and explodes into the air like a rocket it sure to get the heart pumping. In the same area we have a group of manatees daily that like to come up and greet us at the boat so be prepared to have a manatee experience while on one of your fishing charters. This is something that kids just can’t get enough of so get ready for the big smiles and laughs. June is almost gone in July is around the corner We are booking up quick this has to be one of the busiest Summers I’ve experienced in the 14 years of being a guide. Please be sure to call me, text me or send me an email ASAP so we can get you in the books.